It's a week now since the Loo of the Year Awards and with the frantic christmas preparations I've not had time until now to sit down and do them justice. The Loo of the Year Awards simply oozed class. People may poke fun at the name and giggle that such an event exists, but it was generally a pun-free zone. I'll admit I had initially raised an eyebrow at the ticket prices (over £100 once you factor in vat), but having been, not only am I glad I forked out, but I understand it. It's an event that brings together a whole range of people from washroom attendants and cleaners to owners of large companies, all dressed to the nines and enjoying a 4 course dinner . A chance to celebrate in a rather posh way a job that is often anything but. "To encourage the highest possible standards inall types of 'Away from Home' or Public Toilets"
It celebrates good provision and spotlight those who are going above and beyond. It raises the bar and gives incentive for people to focus on toilets, which is particularly needed in this day and age. This year there were 1424 entries. Brighton & Hove city council went home with the overall 2013 Loo of the Year Award trophy. McDonald's Weatherspoons and Asda each cleaned up a fair few awards and trophies. While it's tempting to raise eyebrows at the corporate-ness of the event, again, given the number of people I know who use the toilet facilities at these establishments on a regular basis the awards are probably well deserved and paid for. Who says large monopolizing corperations can't be a force for good in the world? One of the things that pleased me most was hearing the feedback to a presentation about Changing Places Toilets, which are designed for people with profound access needs above and beyond the remit of a standard disabled toilet. Because I have read up on them and talk to people about them every time I do a tour it is easy to assume that everyone gets it... especially people who work in toilet related industries. So to hear people fervently discussing the idea was good. If even a few of those discussions lead on to action then we're onto something. Here's the video we watched at the event. 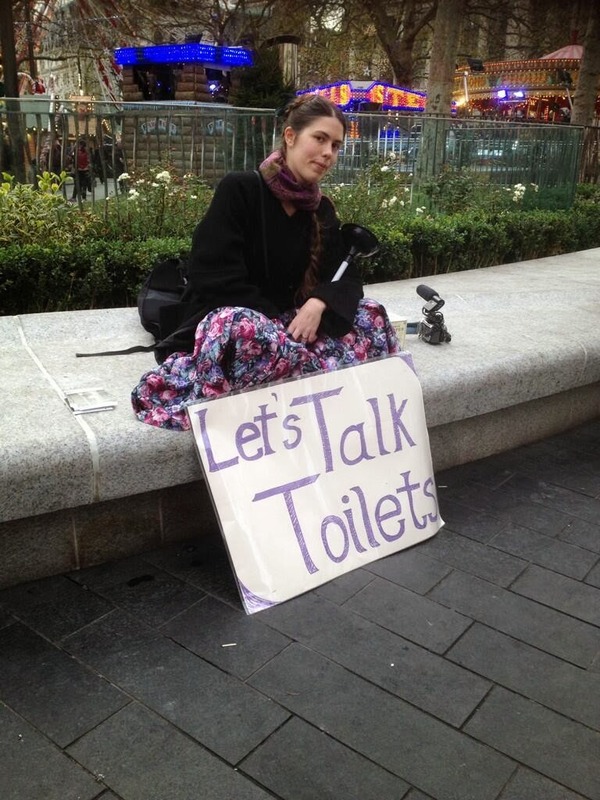 The other surprising thing was the lack of enthusiasm about loos from some of the people I talked to. 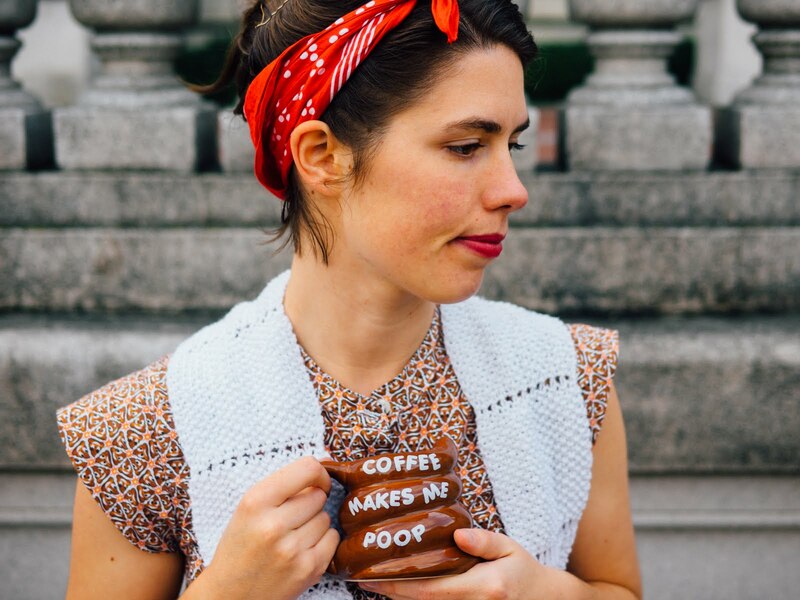 I have met skeptics in the general population, but between the World Toilet Summit and the UCLoo festival I have been conditioned to believe that everyone who works in the sanitation industry is massively curious about both history and social good. Maybe that's a new market for me... shedding new light on business as usual. That might prove the hardest sell of any, but who doesn't like a challenge? It never ceases to surprise me how useful the subject of toilets can be as an icebreaker! It has been awhile since I managed a post. Largely due to the UCLoo festival and an unexpected rush of enquiries about Christmas bookings (Why didn't I think of that... oh wait!) The best thing about these few weeks has been the people I have met. Most significant development of late is a decision to focus more full-time on toilets and really try and develop Loo Tours over the next year. I've come out of the water-closet so to speak. I went to my first networking event as an outed Loo Lady last week. Events in the past I have gone trying to represent my other business and invariably wound up talking about toilets anyway. The event itself was alright. It was designed to facilitate networking, and so all the speakers were there to coach us on the subject of how to maximise your networking power, command the room with body language, and make the most of connections. Because business, after all, is about people. We did everything from speed pitches, to eye contact exercises to starting a percussive orchestra. We heard a short presentation from a brilliant French Storyteller. But the evening underwhelmed me, and that was largely down to the final speaker. I had actually met him before his talk started, and liked him well enough then. He engaged, he asked questions, he was friendly. But the moment he came on the floor and started speaking I could tell within about 10 seconds that there was going to be a sales pitch at the end. His manner and the website on the screen behind him were dead givaways. What troubled me the most was all his talk about how people love sincerity. It felt fake. It may not have been... He may sincerely love his job and I can well believe he has inspired people who have been terrified of networking. Maybe it is just my residual bias from Entrepreneurs 2012, where I sat through 3 days of hard-sells for thousands of pounds worth of coaching (To his credit he didn't go on about the benefits of outsourcing your secretaries from the Philippines.) But all the 'tricks' he taught us recast the way we had interacted at the beginning of the night. He's good at his own game. It reenforced why I like toilets though. The peculiar subject has a way of bringing out something very genuine in people. When they really engage you can see the spark of interest. Not everyone will, and that's okay, but when they do it is magical. As I was dashing out the door avoiding having to comment on what I thought of the final presentation, a Slovenian man approached me. "I LOVE your job!!!" He told me. "I love it too!!!" I said. I answered a few questions about the tour, and then he had a story he wanted to share. There is a Slovenian psychologist named Slavoj Zizek who compares the architecture of different cultures... and more specifically how toilets relate to ideology. There are three main ones: German, French, American. The Germans are very organized and analytical. They have a shelf so that they can see their poo before they flush it down. Make sure it’s healthy, the right colour and the right texture and all of that. The French don’t want to see it or smell it. They are revolutionary, and tt disappears into the bend as soon as they produce it, as though it had been severed from the body by a guillotine. Americans… well, they are more laid back. They keep their options open. They have a lot of water in the bowl and it floats around. You can look at it if you want… or you can just flush. Here is a clip of Zizek in action. The man himself is almost as entertaining as his theories. The next day brought more delightful adventures. I had a group in the afternoon who had bought the loo tour as a birthday present for their friend... and not told him what it was. They were an amazing lot, and very forthcoming with stories of their own. That night I went to a Thanksgiving dinner at a friend's house. I knew no one else there, but when I revealed how I had spent the afternoon we were suddenly off on a half-hour conversation about poo, victorian health reforms and Dalit toilet cleaners in India. A very knowledgeable bunch of friends! Why is it such a good topic? I think it's special because you wouldn't go into it to impress anyone. So if you know and remember something it is probably out of genuine interest and care. ... Back to business and a shameless self plug at the end (see, I can learn from everyone!) I am quickly adding items to my online shop!!! You can now buy gift-certificates, cards, and as of today, a 3D photo calendar! I can't promise any of them will make you rich or successful or famous... but they will make you smile.